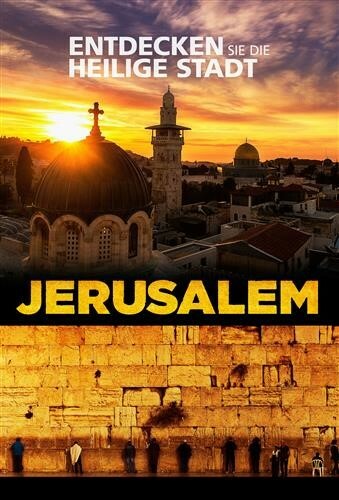 Jerusalem - a sacred place for more than half of the world's population, fraught with strife like no other city in the history of mankind, repeatedly captured, destroyed, rebuilt, and reinvented over a period of 5,000 years. For the first time, IMAX visitors can now take in this unique city close up, with its countless historical sites having a special meaning for billions of people, in a grandiose, remarkably realistic film experience only possible at the IMAX movie theatre. From high above the roofs of the city, to the narrow streets of the bazaars, this National Geographic Entertainment film presents all facets of this historic locale, which has been stirring the imaginations of people from diverse cultures and religions up to this day. Narrated by Benedict Cumberbatch (known among others from Star Trek into Darkness and Sherlock) JERUSALEM grants visitors a unique insight into an ancient city surrounded by myths, and leads them to world famous holy places and lesser-known regions, such as the Wailing Wall, the Holy Sepulchre, the Dome of the Rock, the Jordan River, the Sea of Galilee and the mountain fortress of Masada. Due to a special exception to the otherwise strict flight ban, it was also possible to make unique aerial photographs of the old city of Jerusalem with the IMAX large-format camera.